After the hype of Halloween dies down on Saturday night, we will wake up to yet another holiday on Sunday morning starting at 2 a.m. — the end of Daylight Saving Time. If you stayed up a little too late on Halloween, you might be relieved to find out that you can get an extra hour of sleep that night. However, if you’re hoping to maximize every moment, be more productive, or simply have 60 extra minutes to relax in the midst of your over-scheduled life, we have a few ideas for you. This Sunday, when you wake up and your body thinks it’s 7:00, your clock will assure you that it is actually 6:00. (Or you might forget to adjust your clock the night before and you’ll walk around in utter confusion the entire day.) If you’re wise, you’ll listen to your body and proceed with your day at this earlier time, thus adding an extra hour to your otherwise busy day. But what on earth will you do with this extra hour? 1. Write five “thank you” notes to significant people in your life. A team of people played a role — both large or small — in shaping who you are today. So often we don’t acknowledge that involvement or give a proper “thank you”. It only takes a few minutes to write a note to someone but this gesture could go a long way. You don’t have to limit this activity to life-long friends or family members; you could just as easily write a sweet note to someone you recently met, a coworker, or someone who needs some encouragement. Buy a pack of cards, whip out a pen, and revive the written word. 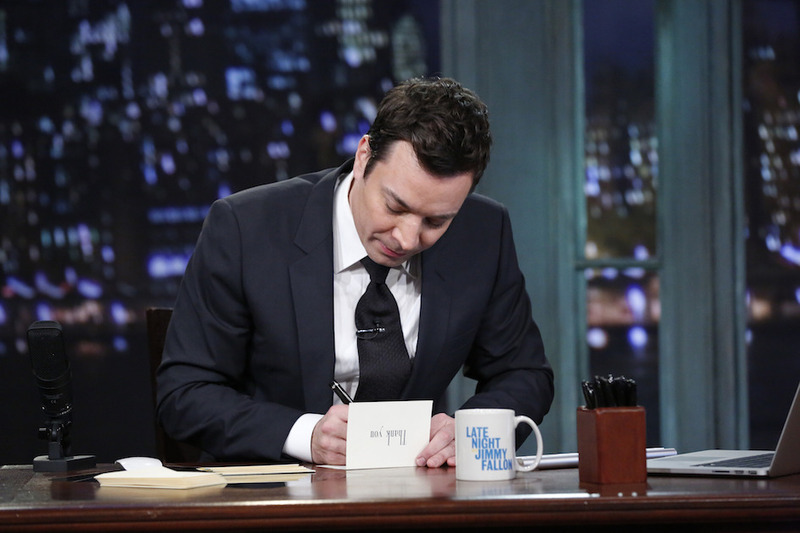 In the meantime, take a few notes from one of the best “thank you” note writers we know: Jimmy Fallon. When our daily schedule starts to fill up, the first thing to suffer is often our intentions to exercise. Or maybe we purposefully don’t schedule a workout into our day because we don’t want to set ourselves up for failure! Either way, you can’t deny that you always feel better after doing some sort of physical activity. Now’s your time to release those endorphins. Get outside — or inside a gym — and get moving! We promise you won’t regret it. If you’re not feeling enough energy to create your own workout routine, sign up for a Pure Barre class and let someone else do the prep work. 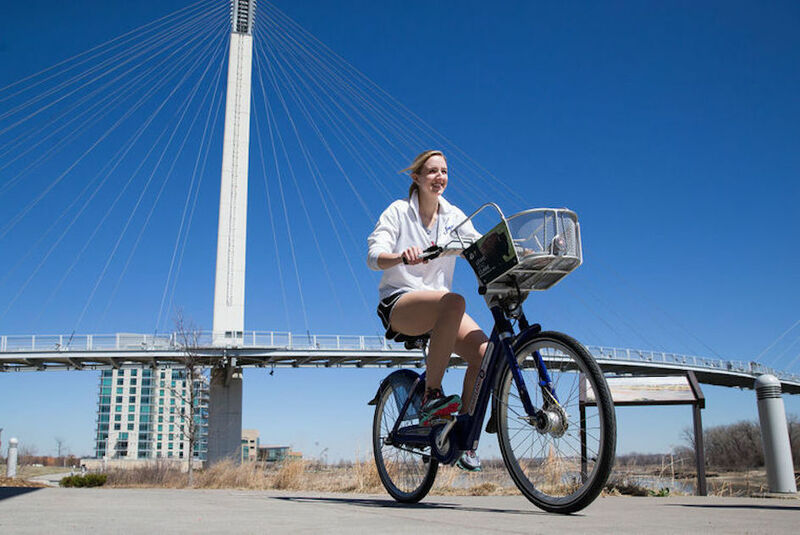 Or simply go on a run or bike ride across and around Bob the Bridge. 3. 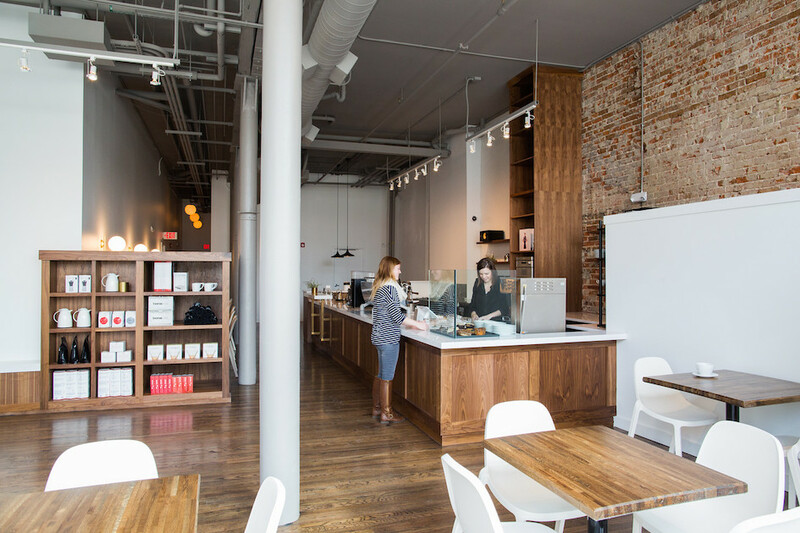 Visit a local coffee shop. If you typically consider your daily coffee stop an in-and-out activity, consider lingering in the cafe longer than you normally would. Bring a book or newspaper, order your drink “for here”, put some headphones in, and enjoy the coffee shop scenery with your drink of choice. Coffee shops can be some of the most relaxing places to unwind or prepare for your day; we just often don’t stop long enough to notice. Not sure where to go? 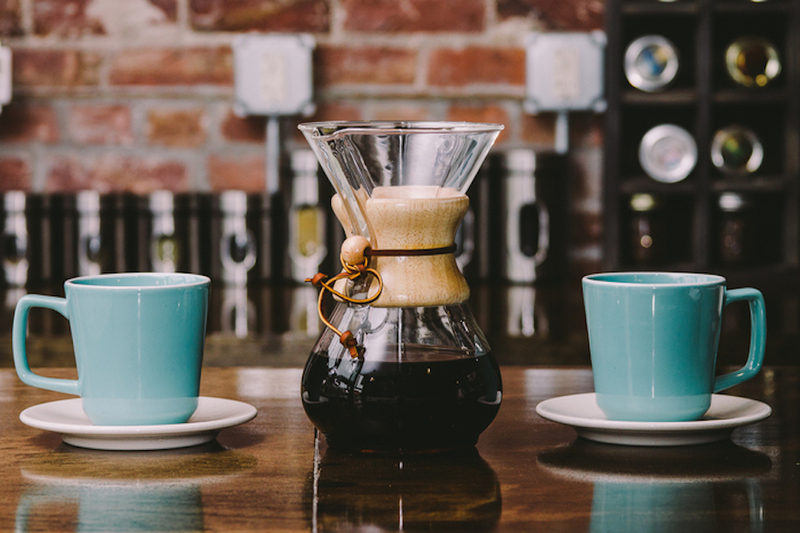 Here are some of our favorite Omaha coffee shops! 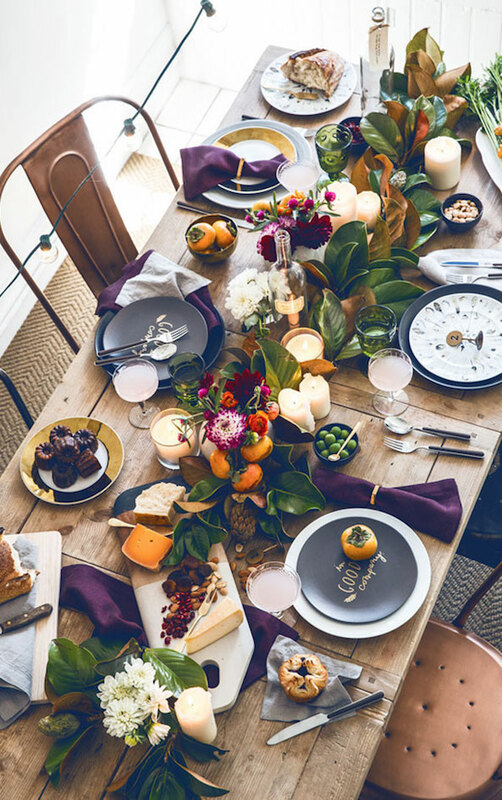 Whether it’s as ambitious as sewing an article of clothing or as simple as making a festive centerpiece for Thanksgiving, you’ll feel productive after putting your hands and creative mind to work. Plus, you’ll have something to wear or display in your home after all is said and done! There’s nothing that can stop a good glue gun after a few clicks on Pinterest and a trip to your neighborhood craft store. 5. Make a clean slate. You could probably agree that there are several areas within your home that could use a good organization or cleaning spree. An hour is plenty of time to tackle one of these spaces — or even your entire house. Too overwhelming? Just start with your purse or briefcase! Dispose of those gum wrappers and crumpled receipts, and put those pens and tubes of lipstick back where they belong. It’s insane what peace of mind you’ll receive after completing any form of cleaning or organizing. If you’re a list person, follow this 1-Hour Quick-Clean Plan from Better Homes and Gardens. 6. Reconnect with a long-lost friend. 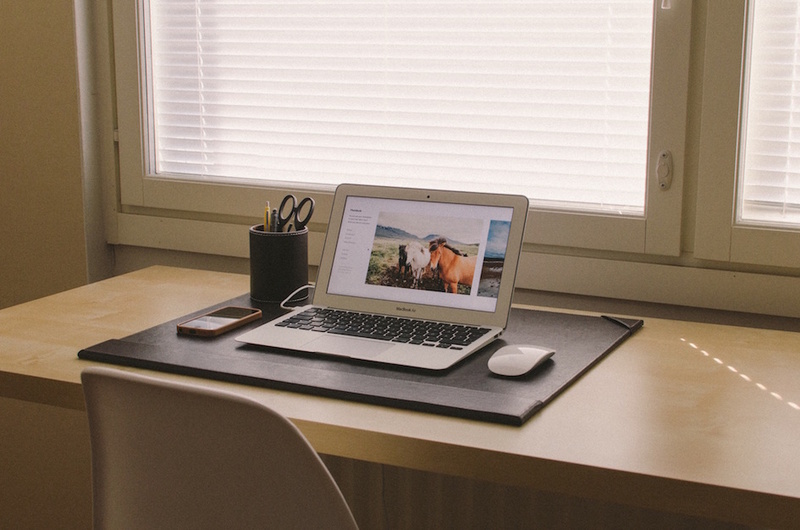 The introduction of social media to society has made us more social than ever. Or has it? Sometimes we feel like we connect with friends we haven’t seen in years because we are exposed to cyber flashes of their lives on a daily basis. But this may not mean we’ve stayed in contact — we’re talking the pick-up-the-phone or meet-face-to-face type of contact. So do just that! Give a friend you haven’t seen in awhile a call, or if you’re lucky enough to live close to them, reconnect with them over a cup of coffee or beer. There’s nothing like rekindling old friendship flames and laughing about memories shared together. 7. Get creative in the kitchen. When life gets flustered, so do our eating habits. Fast food becomes the norm or sometimes we forget to eat altogether! Spend your extra hour preparing a quality meal for you and your family. Or simply go grocery shopping so you’ll be set for the rest of the week and don’t have to succumb to impulsive McDonald’s visits. Remember that the most healthy food choices usually don’t require as much preparation time. Think about it — those huge casseroles full of butter can take hours to complete, while store-bought hummus and carrots take approximately zero minutes to “make”. 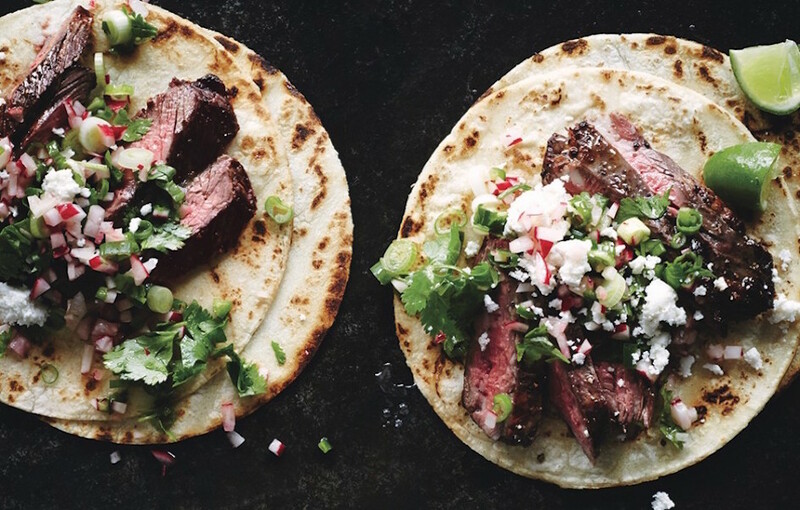 Try one of these Fall Weeknight Meals You Can Make in an Hour or Less from Bon Appétit. Or wind down with a cocktail from The Intoxicologist’s wide range of recipes. You could technically make any of these Halloween cocktail recipes all year long! An hour is the perfect amount of time to listen to a podcast or two. There are hours and hours of sound bytes packed with useful (and useless) information, just waiting for your brain to soak up. If you’re particularly into efficiency, you can multitask by listening to a podcast while doing a number of the other productive things on this list. Or pick up a book collecting dust on your bookshelf that covers a subject you’re passionate about. You could also peruse the Internet to learn something new — catch up on the news, do a search on Google, or maybe just peruse Pinterest and research your next home improvement project. Sold on the whole podcast idea? 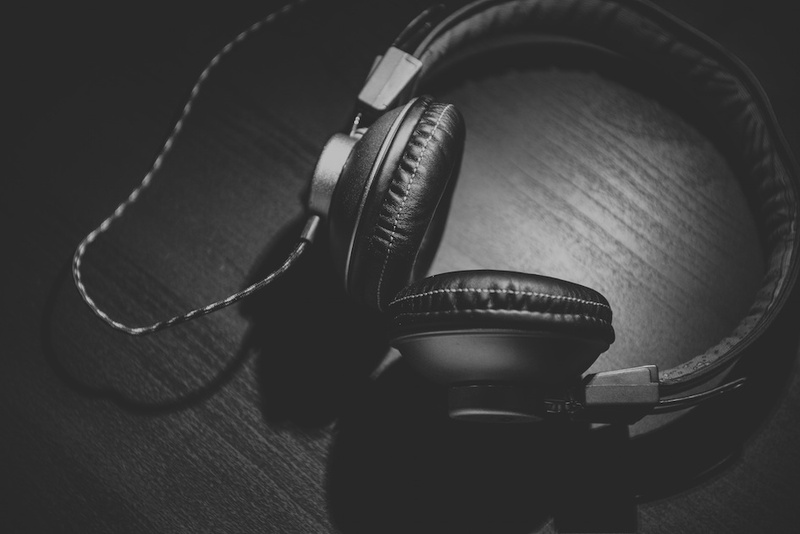 Some of our favorites include RadioLab, This American Life, The Nerdist, TED Radio Hour and Stuff You Should Know. And for a less educational, but more thrilling experience, check out Serial if you haven’t yet caught the Serial bug. 9. Do something out of character. If you’re prone to shyness or keeping to yourself, challenge yourself to initiate a conversation that would normally leave you terrified. Or if you usually stay in on Friday nights and binge-watch Netflix, make plans to meet up with a friend for happy hour. If the thought of singing karaoke worries you, you know what you should do this weekend with your significant other? You guessed it. 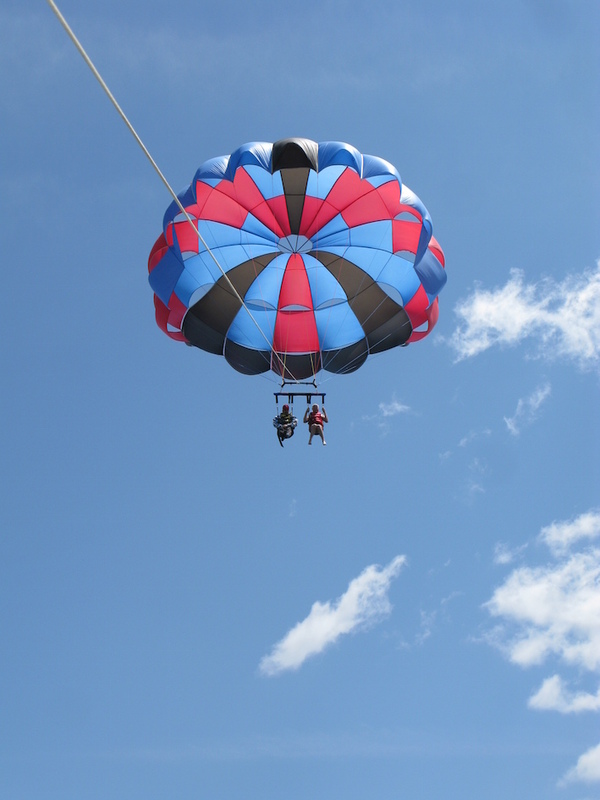 Or better yet, sign up for something your friends and family say you would never do — how about skydiving or parasailing? The sky’s the limit (pun intended). 10. Help someone in need. Most of these suggestions focus on assisting you, making your day more productive, and making you happier. While it’s important to practice self-improvement and to care for yourself, it’s also important (and might we submit — more important) to consider others and their needs. Sign up to volunteer with a local organization, help a neighbor with their yard work, or take a few minutes out of your day to financially help a homeless person and engage in a conversation with them. 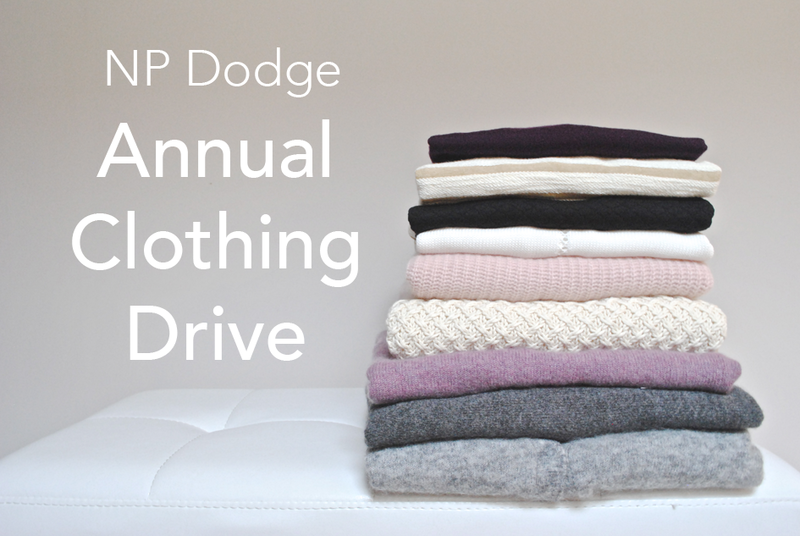 If you’re looking for a specific way to help, NP Dodge is hosting its annual clothing drive until the end of October. We know that’s technically before this extra hour is added to your day, but it’s certainly worth considering in the meantime. Don’t think one hour is a significant amount of time for achieving anything? We suggest continuing with this pattern and forming a habit that means you’ll get a total of 126 extra hours added to your days until the dreaded start to Daylight Saving Time on March 8, 2016. In other words, intentionally set your body clock to accept waking up an hour earlier or going to bed an hour later. But this doesn’t mean you should let your sleeping life suffer! We all know it’s important to get at least seven hours of sleep each night. Try one of these activities this weekend and beyond! With an extra hour, there’s no limit to what you can achieve. Let us know what you plan to do with your extra hour gained through Daylight Saving Time! PHOTOS COURTESY OF: AOL, Live Well Nebraska, Beansmith Coffee Roasters, Apartment 34, Unsplash, Aromas Bliss, Bon Appétit, Big Mac Parasailing and Vincent.